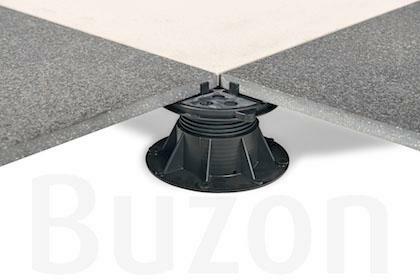 BUZON PEDESTAL INTERNATIONAL, Fastening devices, Terrace blocks, Terrace on blocks, on EUROPAGES. 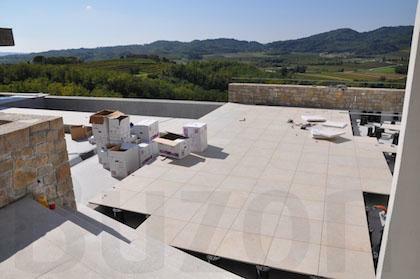 Since 1987 Buzon has been world leader in adjustable blocks for building wooden and stone slab terraces. 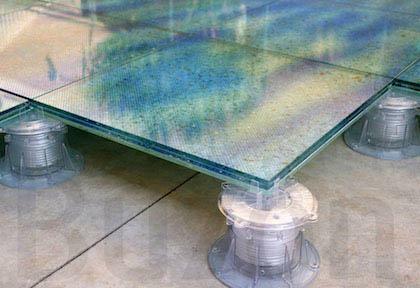 ''Buzon'' blocks are made from polypropylene & can be adjusted from 25 to 1070mm. They are resistant to loads of over 1.000 kg/block. They can be used for rooftop terraces, pedestrian areas, rooftop gardens, private terraces, raised technical flooring, etc. A corrector enables a slope of 0 to 5% to be compensated ensuring a perfectly level terrace.